Thanksgiving is fast approaching and so here are four different dishes to get inspired by for the Thanksgiving holiday. 1) Mama Ramirez’s Mashed Potato: Amanda Ramirez, 23-year-old geographical information systems major, shared her favorite Thanksgiving recipe, which she got from her mother. Mashed potatoes are a well-known traditional item during this holiday, however, the Ramirez family put their own special spin on it. Peel the entire bag(s) of potatoes and boil them until soft. Whip them and place in a huge bowl. Add the condensed milk, sour cream, butter, ranch mix and stir. 2) Truffle Mac ‘n Cheese: Claudia Andersson, 26-year-old political science major said she likes to put a luxurious spin on a good old mac and cheese for Thanksgiving. Cook the macaroni in boiling water and a pinch of salt, until al dente. Drain when done cooking and drizzle with truffle oil. Set aside. Next, in a big saucepan melt the butter. Once melted add flour and stir well. Whisk in milk and half-and-half, add a pinch of salt and pepper. Remove from heat. Once removed from heat, immediately add both cheeses and stir. When the cheese sauce is smooth, pour it onto the macaroni in a baking dish. Sprinkle cheese and bread crumbs on top. Bake in a 375 degree oven for 20-25 minutes. 3) Novin’s favorite Brussels sprouts: Tahla Novin, 27, a communication major shared the only way she will eat Brussels sprouts. Slice the Brussels sprouts in the middle and place them on baking pan. Chop and cook (without adding any oil or butter) bacon on a stove pan until done but not crispy. You’ll utilize bacon fat to cook the Brussels sprouts. When the bacon has finished cooking add that onto the Brussels sprouts along with the chopped walnuts and thyme. Blend and season with pepper (no additional salt in needed as bacon is salty on its own). Bake at 370 degrees in oven until Brussels sprouts are soft. 4) Jamie Oliver inspired Turkey: Novin also shared a roasted turkey recipe she saw on TV once by British chef Jamie Oliver. “It’s a Christmas recipe but it works great for Thanksgiving, too,” Novin said. Clean the turkey by washing it and removing giblets. Chop dried cranberries, rosemary and thyme, press garlic, and mix everything together with butter. 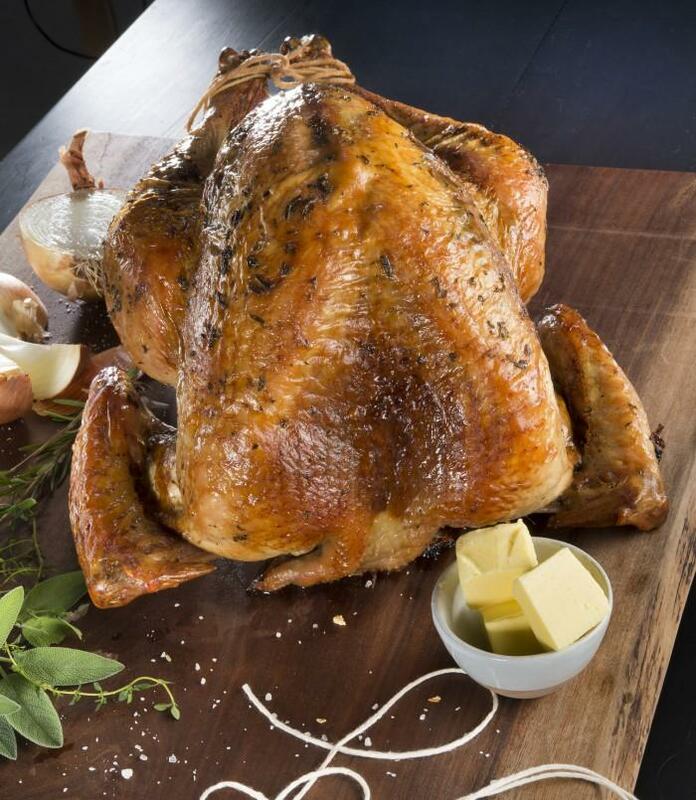 With the flavored butter, slide under the skin of the turkey so it covers the entire meat underneath the skin. Slice clementines and put them inside the turkey instead of stuffing. Set oven to about 325 degrees in order to roast turkey. Cooking time depends on how many pounds the bird is, but it usually takes around 3 hours for an 18 lb turkey. A thermometer is recommended for roasting a turkey.